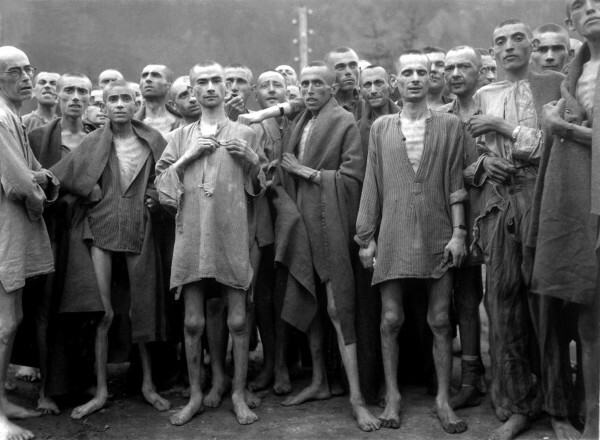 Starving prisoners in Mauthausen camp liberated on May 5, 1945. Bosnian Genocide. Photo by Ron Haviv. 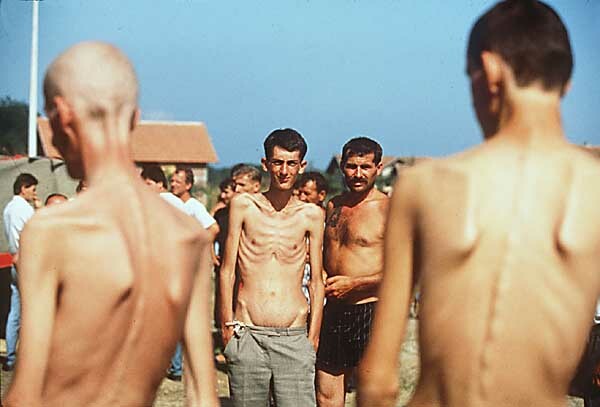 Starving Bosniak and Croat prisoners in Trnopolje camp in 1992.